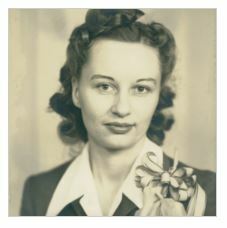 Clara Virginia Dreher (Kieling), 96, was born April 10, 1920 in Mica, Washington. Virginia passed away peacefully on January 22 at approximately 4pm of Alzheimer's and heart failure in Woodburn. She was the oldest of five children, all of whom preceded her in death. The Kieling family moved from Washington to Oregon in the early 1920's. Virginia graduated from Molalla High School in 1938, during the Great Depression. She lived at home until she married Walter W. Dreher on June 11, 1942. He passed away in 2004. Their first home was on a farm near Molalla. They moved to a dairy farm near St. Paul, OR in the early 1940's. They had two children, Jerry and Nancy. The family moved to Belfair, WA in 1960 and moved back to a farm in the Woodburn area in 1966. Virginia resided there until her 90th birthday in 2010, when she moved to Woodburn. 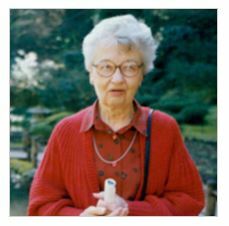 She was a resident of Cascade Park, Woodburn, until 2015 when she was moved to memory care at Silver Creek, Woodburn. Virginia was an accomplished seamstress, knitter, gardener, floral arranger and quilter. She was an avid scrabble player, reader and walker, sometimes taking her grandsons for explorations around the farm. Her family was the center of her life. She was a member of Woodburn United Methodist Church and their Ruth Circle. She is survived by her son and daughter-in-law, Jerry and Karen Dreher, Woodburn; her daughter and son-in-law, Nancy (Dreher) and Frank Carpenter, Salem; grandsons Jesse and Adam (Ariel) and great-grandson Danny, all of Salem. She will be laid to rest next to her husband, Walter, at Belle Passi Mausoleum, Woodburn. There will be no services at this time. In lieu of flowers please make donations to Union Gospel Mission (Salem), PO Box 431, Salem, OR 97308-9953.